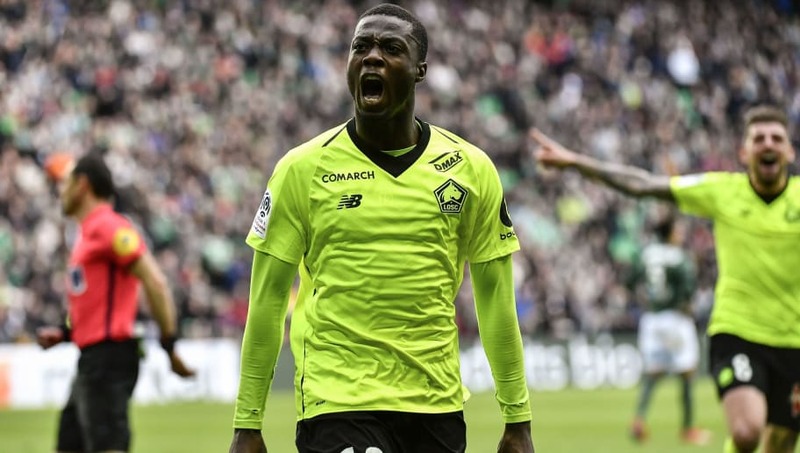 ​Lille president Gerard Lopez has confirmed that winger Nicolas Pepe will leave the club this summer, with Arsenal said to be leading the race for his signature. The 23-year-old has enjoyed a stunning campaign in Ligue 1, registering 19 goals and 11 assists in 31 appearances to fire his side to second in the table, behind just Paris Saint-Germain, who lost 5-1 to Lille on Sunday. His form has attracted plenty of suitors, and Lopez told ​Telefoot that the Ivorian will certainly be sold this summer. He said: "Sure [Pepe will leave], he's going to get into a price range, wages, etc. that LOSC will not be able to afford. So it's clear that there's a career choice for him too, after that, where will he go? We'll see. "We will not talk about a transfer until about mid-May. I think he'll have a choice, we'll see. "We already have a list of three players who can replace Nicolas Pepe and who are in our price range. We have to have three players per position, three players we think are the best alternatives if our players leave." Alongside ​Arsenal, the likes of ​Manchester United and ​Bayern Munich have been heavily linked with Pepe, who has established himself as one of the world's most exciting wingers as a result of his impressive form this season. ​Chelsea are also expected to pursue the Ivorian if their transfer ban is frozen, with the Blues viewing him as a potential replacement for former Lille man ​Eden Hazard if the Belgian moves to ​Real Madrid. Pepe is behind just ​Kylian Mbappe in the Ligue 1 scoring charts, and his goals have been a vital part of Lille's rise towards the top of the table. The club look to be nearing Champions League qualification for next season, but Lopez's words suggest they will have to tackle the competition without their star player.